Hello! Welcome back to Project Penguin! Trevor again. Today we are making midnight snow scenes. Today's project is super easy. All you need to do is draw on the black paper with the white crayon! 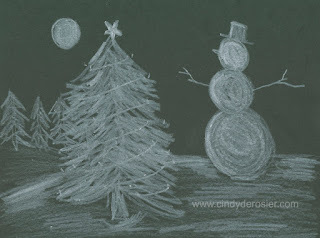 You could draw a Christmas tree, a full moon, a snowman, a North Pole sign, presents, a cabin, a sleigh or reindeer. Those are the things that we made, but you can make whatever you want. Now it's your turn! 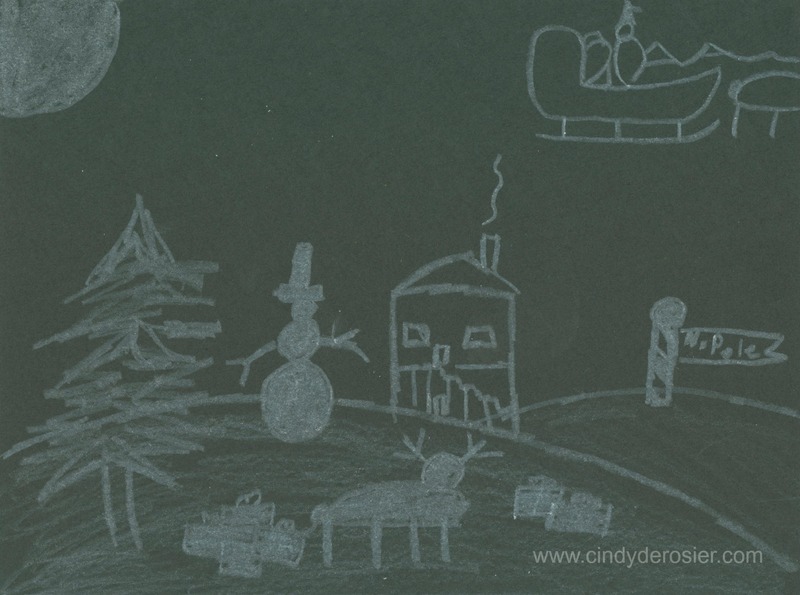 Make a midnight snow scene or something inspired by it by January 3 for a chance to win. This was fun and easy! We ended up using white chalk because we didn't have enough white crayons to go around, lol.